VIOLETTE SZABO MUSEUM – WORMELOW, HEREFORDSHIRE. This excellent museum is dedicated to a very brave lady whose heroism cost her the extreme sacrifice, her life. Her story is told in this small museum, which was built by her Aunt Miss Rosemary E.Rigby M.B.E. 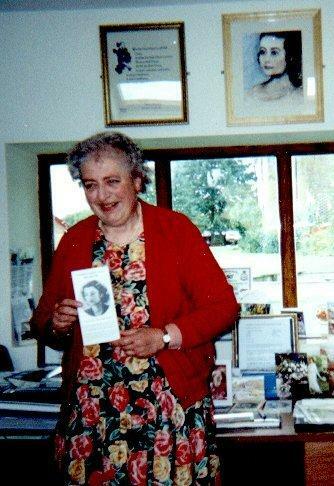 at her home named” Cartref” in the village of Wormelow, Herefordshire. Visitors will see personal items and a collection of memorabilia relating to the events of the time. It was here that Violettes cousins once lived, with Violette being a frequent visitor enjoying happy times. Violette was born in Paris and was the second child of an Englishman Charles Bushell and of his French wife Reine Leroy. During her childhood much of Violettes time was spent between England and France with much of her formative years being spent in south London. She had a vast knowledge of France, its language and its customs. In 1940 at the age of 19 she met and fell in love with a soldier in the French foreign legion his name being Etienne Szabo, he was a Sergeant Major. However their married life was to be short lived as after their short honeymoon he was returned to duty in West Africa and only spent a little more time together before his death at the battle of El Alamein. It was in the June of 1942 that their daughter Tania was born so she never knew her father. 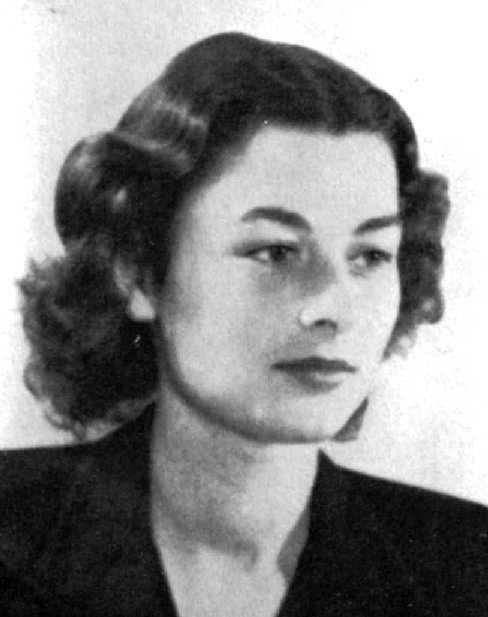 Violette was devastated over the death of her husband, she was easily persuaded to become involved with the Special Operations Executive (SOE) who approached her and recruited her in the August of 1943. Her family were unaware of her involvement with this organisation and that she had become a secret agent, in order that she had a cover for her activities she was officially a member of the First Aid Nursing Yeomanry, the true nature of her work was not known until after the war was over. She was sent on her first mission to occupied France in the beginning of April of 1944, together with her circuit organiser, their task was to find out how much of the local resistance organisation had been uncovered by the Germans. 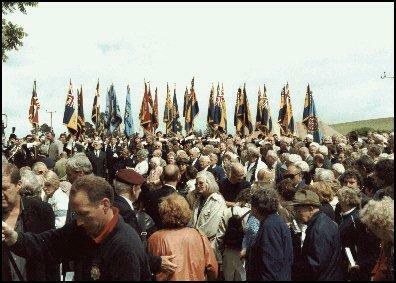 With their mission completed they were picked up by light aircraft and safely returned home at the end of April 1944. Following this success she was promoted within the First Aid Nursing Yeomanry to the rank of Ensign (Second Lieutenant). It was in the days leading up to D-Day that she was sent on her second mission, Violette was given the codename of Louise and was sent with a team of sabateurs who would co-ordinating with the various groups of the Maquis (French Resistance). Following two unsuccessful attempts to land they succeeded in parachuting into a designated area on the 8th of June 1944. During the next two days they made preparation to meet members of the French resistance movement, it was during June 9th that Violette was instructed to go to Pompadour a 50 kilometre journey on the following day with the purpose of meeting a Jacques Poirier a resistance official, for this she would need to travel by car but would require her bicycle to make the return trip. This was the commencement of a series of disastrous events as some of the 2nd SS Panzer Division had reached the area of Limoges whilst on their way north to reinforce the beleaguered German defences in Normandy, the Panzer division had been attacked by bands of the Maquis who captured and executed an officer of the division. This action provoked a savage response road blocks were set up and increased the German patrols. It was at this time that Violette and Jacques Dufour set of from a place called Sussac to go to Pompadour, Jacques being the driver, during the course of the journey they picked up another man also a member of the resistance movement, he was Jean Bariaud and was unarmed. As they approached the town of Salon-la-Tour they fell foul of a roadblock that had been set up to recover the missing German officer. At this point a gun battle erupted, Violette firing a Sten gun to give covering fire whilst her two male companions escaped, with her ammunition exhausted Violette was captured. On the night of 9th of June she was interrogated tortured and repeatedly raped by the Gestapo at their headquarters in Limoges but she refused to talk, earlier during that afternoon a section of the SS Division murdered some 650 civilians in the village of Oradour-sur-Glane in retaliation for the murder of the German officer. After further intensive questioning she was taken from Limoges to Fresnes prison, which was in Paris and from here she was sent to Ravensbruck concentration camp the ordeal of the journey itself took two and half weeks. After 5 months of hard labour, lack of food, ill treatment and in atrocious conditions early in 1945 at 7pm on evening she and two other women prisoners were taken into a yard where she was made to watch the other prisoners who were on stretchers being executed by means of a bullet in the back of their necks. Violettes execution followed she was made to kneel and was shot in the same manner. All three were immediately cremated. It was on the 17th of December 1946 that the posthumous award of the George Cross was announced to “Violette, Madam Szabo" this bravery award was in addition to the French award of the Croix de Guerre 1939-1945 with silver star recognising the courage of a very brave lady.The awards were presented to her daughter Tania who is now retired and lives in Jersey. Such was the admiration for her deeds that the film “Carve her name with pride“ was made - this was a dramatisation of the events of Violette's role being taken by Virginia Mc Kenna who was also known for her role in the film "Born Free”. On the 26th June 1988 (Violette would have been 67) a plaque was unveiled to her memory, this reads - "This plaque is placed as an evergreen tribute to VIOLETTE SZABO, GC. British Secret Agent born 26th June 1921, executed by the Gestapo at Ravensbruck during 1945 in deep appreciation of her outstanding courage in England’s hour of need. Violette spent many happy holidays with her Aunt and Uncle Mr.& Mrs H.Lucas and family. R.I.P. Violette. Carve her name with pride - Rosemary E.Rigby, 1988". Miss Rosemary E Rigby M.B.E.has generously donated 3.5 acres of land as a Millennium Green and it is one of some 250 such fields created throughout the country by various donors. Miss Rigby has dedicated the area to Violette and a commemorative rock has been sited in the grounds in which are planted with violets, cowslips, primroses and daffodils. A very appropriate and fitting memorial and well worth seeing. Amongst the many visitors Virginia Mc Kenna.who performed the opening ceremony of the museum and members of the Special Forces. 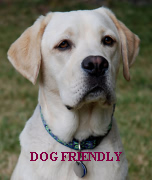 1st April to 31st October 11am to 4-30pm Wednesdays, however, visitors are welcome at other times by special arrangement. There is no entrance fee however donations are much appreciated.